Lagos like every other cosmopolitan city have things that are peculiar to them. The over 20 million Lagosians running around to earn a living on streets/markets and in offices, the shenanigans of the danfos or passengers/police and the pomp of the nightlife. 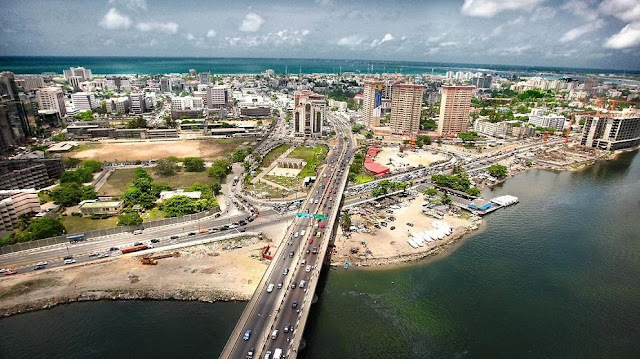 However, one distinct thing you cannot miss is the sounds of Lagos. These sounds can be annoying at times but if you are a newbie in the city or a staylite, you can never miss it. We identify some of the sounds of Lagos! Enjoy! Generator has become an important feature in the life of Lagosians due to unstable power supply. The sound or noise runs 24 hours in homes, offices, markets, hospitals, hotels, and even government offices. Except something drastic is done about power, the sound of generators will continue to boom in the lives of not only Lagosians but Nigerians. Nigerians are very religious. Hence, we go all out to preach the gospel and win souls for ‘God’. To achieve this, the Mosque invite Muslim faithful to prepare for prayer while the Christians share the word of God on the streets as early as 5 am. On other days, the loud singing, chanting and drum beats in churches and mosques will no doubt get your attention. Religion is a sensitive issue in Nigeria. So, efforts by government to regulate this ‘noise’ has had little or no impact. 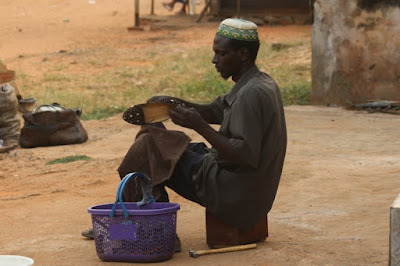 The shoemaker with his small box which contains his tools move around the nooks and crannies of Lagos calling persons who want to mend their shoes to bring them out. He doesn’t make the announcement with his voice, he simply uses a stick to beat his box. Lagosians who hear that sound know that the cobbler is around! Oshodi! Ikoyi!! Lekki!!! If you are on Lagos roads, you will be used to the bus conductors inviting different passengers to board their buses to different Lagos destinations. They shout at the top of their voice. If you are not careful, you may be hassled to enter the wrong bus. Strategically placed at bus stops, parks and markets to get noticed, the seller plays music on giant loudspeakers in other to attract potential customers or buyers. It remains to be seen if this music actually gets the attention of customers and translates into sales.